The dollar grew against the euro. Earlier the euro was persistently rising against the dollar in the absence of any fundamental supports. The EU statistics will show the November and France final November inflation assessment. It is assumed that we will not see changes in the initial results, the first and the second EU economy consumer price index (CPI) will remain the same + 0.4% y/y and 0.6% y / y, respectively. The pair euro/dollar could find a support around 1.2330-1.2350. The demand for euro remained here which allowed the pair to rise up to 1.2425-1.2445 and to test the resistance level of 1.2500-1.2520. 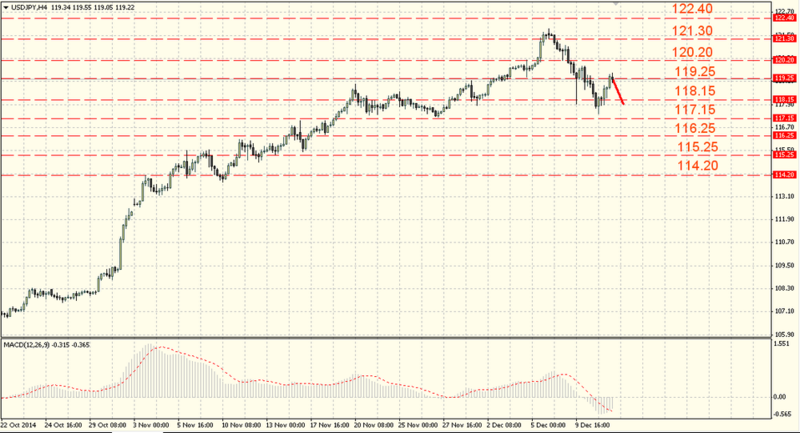 Bears continue to protect the 25th figure, pushing the pair below the support at the level of 1.2405-1.2425. The pair ability to overcome the resistance at the mark of 1.2425-1.2425is a positive factor, but the more important thing for the euro is the resistance around 1.2500-1.2525 and its breakthrough is essential for the downward pressure weakening. The loss of 1.2330-1.2350 will lead to a decrease below 1.2250-1.2270. The “cable” began the day with a decline against the dollar. The RICS reports about the expectations, concerning the professional appraisers’ house prices in November showed a decrease to 13% from 20% in October when forecasts were reduced to the less strong reduction, only up to 16% indicator has been showing a decline for six consecutive months that is perceived by the market as a negative factor for the pound. The pair GBP/USD was initially under pressure, but the support around 1.5630-1.5650 managed to hold back the bears’ onslaught and soon the pair returned to the resistance at the level of 1.5730-1.5750. 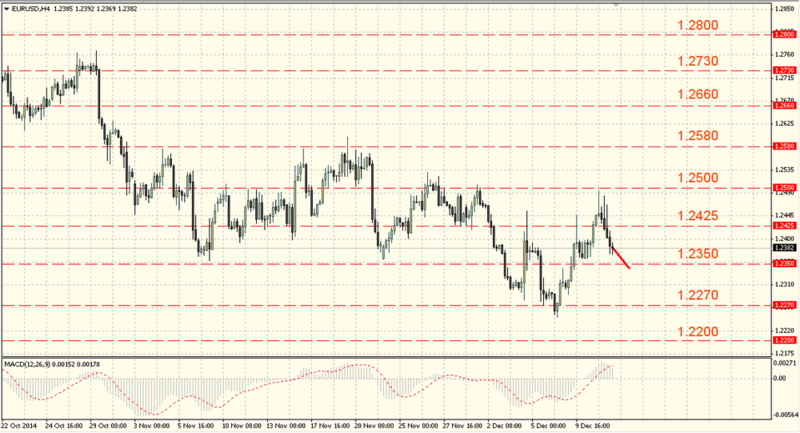 The pair is consolidating between these support and resistance levels. The pair inability to consolidate above 1.5730-1.5750 levels the positive effect from its breakthrough and increases the likelihood of the pair return to 1.5630-1.5650. 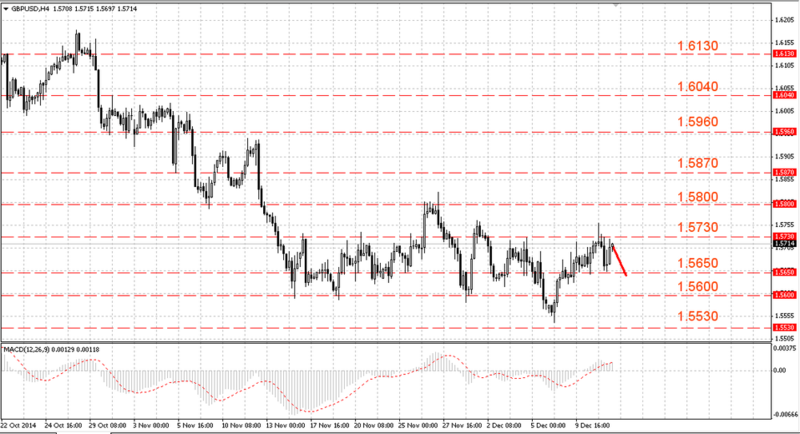 The latter level breakthrough will result in decrease to the levels of 1.5580-1.5600. The pound needs to overcome 1.5730-1.5750 to continue its growth. The pair dollar /yen was moving upwards. Today the economic statistics published the Japan machinery and equipment orders in October, the index showed a collapse immediately by 6.4% m/m and 4.9% y/y after rise the last month when it was 2.9% m/m, 7.3% y/y. The stock markets decrease and the profit-taking within the dollar/yen were stopped. After a rebound to 119.25-119.45 the pair decline resumed that resulted in fall to 117.15-117.35, breaking the previous low at the level of 118.15-118.35. However, bulls were able to return the dollar above that level, testing the resistance near 119.25-119.45. The next is level of 120.20-120.40 and its breakthrough will result in increase to 121.30-121.50. The risks of renewed decline are preserved and will significantly reduce their growth above 119.25-119.45, but for the uptrend resumption bulls will have to compete for 120.00.